This edited volume grew out of a conference that brought together beginning reading experts from the fields of education and the psychology of reading and reading disabilities so that they could present and discuss their research findings and theories about how children learn to read words, instructional contexts that facilitate this learning, background experiences prior to formal schooling that contribute, and sources of difficulty in disabled readers. The chapters bring a variety of perspectives to bear on a single cluster of problems involving the acquisition of word reading ability. It is the editors' keen hope that the insights and findings of the research reported here will influence and become incorporated into the development of practicable, classroom-based instructional programs that succeed in improving children's ability to become skilled readers. Furthermore, they hope that these insights and findings will become incorporated into the working knowledge that teachers apply when they teach their students to read, and into further research on reading acquisition. "This book provides a comprehensive summary of research concerning the major technical aspect of reading: deciphering individual printed words….The papers are at once highly detailed and clearly presented, so that the book will be a valuable resource for researchers and practitioners alike. In particlar, the authors make an effort to describe their theoretical concepts and statistical procedures in a way that makes the material more accessible than usual. Contents: Preface. Part I: Basic Processes in Beginning Word Recognition. L.C. Ehri, Grapheme-Phoneme Knowledge Is Essential for Learning to Read Words in English. U. Goswami, The Role of Analogies in the Development of Word Recognition. S.A. Stahl, B. Murray, Issues Involved in Defining Phonological Awareness and Its Relation to Early Reading. J.L. Metsala, A.C. Walley, Spoken Vocabulary Growth and the Segmental Restructuring of Lexical Representations: Precursors to Phonemic Awareness and Early Reading Ability. G.D.A. Brown, The Endpoint of Skilled Word Recognition: The ROAR Model. Part II: Processes and Instruction for Disabled Readers. L.S. Siegel, Phonological Processing Deficits and Reading Disabilities. J.K. Torgesen, S.R. Burgess, Consistency of Reading-Related Phonological Processes Throughout Early Childhood: Evidence From Longitudinal-Correlational and Instructional Studies. B.W. Wise, R.K. Olson, J. Ring, M. Johnson, Interactive Computer Support for Improving Phonological Skills. I.W. Gaskins, A Beginning Literacy Program for At-Risk and Delayed Readers. Part III: Word Recognition in Context. A.E. Cunningham, K.E. Stanovich, The Impact of Print Exposure on Word Recognition. L. Baker, S. Fernandez-Fein, D. Scher, H. Williams, Home Experiences Related to the Development of Word Recognition. R. Treiman, Why Spelling? The Benefits of Incorporating Spelling Into Beginning Reading Instruction. R. Calfee, Phonics and Phonemes: Learning to Decode and Spell in a Literature-Based Program. D.H. Tracey, L.M. 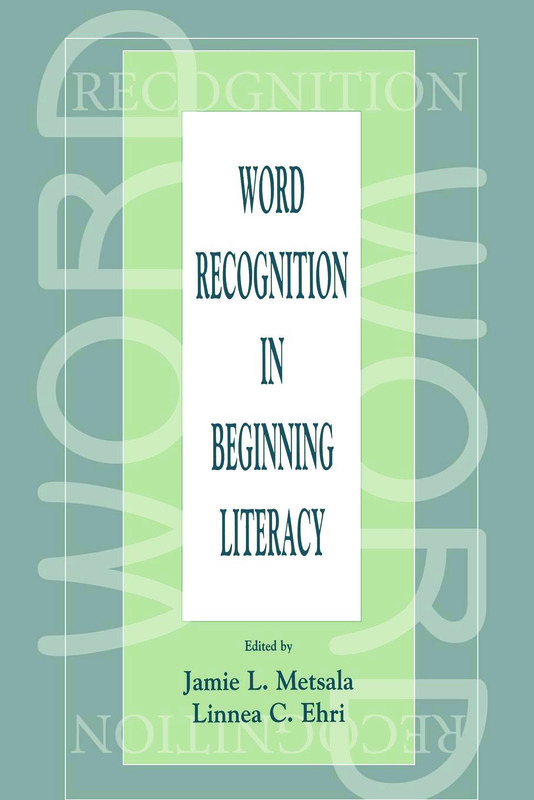 Morrow, Motivating Contexts for Young Children's Literacy Development: Implications for Word Recognition. M. Pressley, R. Wharton-McDonald, J. Mistretta, Effective Beginning Literacy Instruction: Dialectial, Scaffolded, and Contextualized.